Focke Wulf Fw-190A-5/U-14 with torpedo LFT5b (800kg) Luftwaffe 1943. A German Junkers Ju-88A-17 bomber of KG77, the kind which attacked UGS-38 on the night of 20 April 1944. 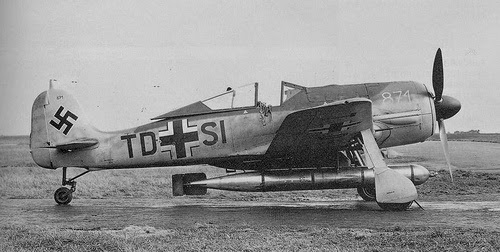 The Germans used the F5b aerial torpedo, derived from a Norwegian design, and the F5w, of Italian design. They had some Japanese aerial torpedoes, but my source (Campbell) says they were not used due to frequent maintenance requirements. The Germans simply bought nearly all their aerial torpedoes from one "trusted" manufacturer named "Silurificio di Fiume" (now Rijeka, Croatia) which was THE torpedo factory of the Austro-Hungarian empire but during WW2 was under Italian control. Since demand overcame offer, sometimes Luftwaffe and Regia Aeronautica had bitter confrontations for the produced lots that had to be settled by diplomatic efforts and reciprocal concessions. I spare you the stories about the sabotages done by the blue collars. The Heinkel He 115C-4 floatplane was a torpedo-bomber carrying one torpedo, in which defensive armament was reduced to one rear-firing MG 15 machine gun, thirty examples of this type (C-4) being built. Junkers Ju 88A-4/Torp & Ju 88A-17 - A number of the Ju 88A-4 type were adapted in 1942 for the torpedo-bombing role under the designation Ju 88A-4/Torp, and a small series of aircraft manufactured from the outset for this role were designated Ju 88A-17 and operated by Kampfgruppe 28 on shipping strikes. One PVC rack beneath each wing root supplanted the four ETC bomb-racks inboard of the engine nacelles, and two 1,686-lb. LT F5b torpedoes were carried, and a long bulged housing fitted on the starboard side of the nose containing the equipment for adjusting the steering mechanism of the torpedoes in the air. 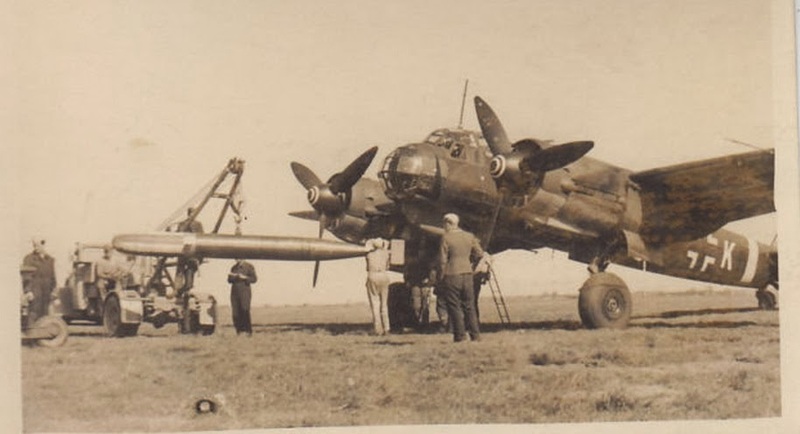 The crew compliment was reduced to three members (four being the norm), and the offset ventral gondola was deleted from some aircraft of this type (later Ju 88A-17s). Probably one of the most well known actions where German torpedo-bombers were used were the attacks on convoy PQ-17 in which at least two of the torpedo-bomber types stated above were used, namely the Heinkel He 115C-4 floatplane, and the Heinkel He 111H-6…both types scoring hits on ships which were sunk (some finished off by U-boats). The complete blueprints of Japanese aerial torpedoes (Type 91) were delivered by I-30 (aka the “Cherry Blossom boat”, under Lt.Cdr. Shinobu Endô) in August ‘42. The Kriegsmarine tested Type 91s at Gdynia/Gotenhafen naval station as LT 850. Curiously enough, some 30 of them were found by the Polish and used until 1954 under the designation 450 LK. The next Japanese sub I-8 (aka the “U-Flieder”, under Cdr. Shinji Uchino) also delivered two Type 95 Mod. 1 oxygen submarine torpedoes and a Type 95 torpedo tube. During the tests conducted by U.S. Naval Technical Mission to Japan, the latter type developed up to 53 knots.